Based on our belief to have a unified voice defending the players’ current rights and push to improve the conditions under which the players play the game of football in the State. Our journey began to incorporate a legal entity that represents footballers in the State of Qatar nearly two years ago, and our journey ended successful through the incorporation of Qatar Players Association. The players faced globally throughout the centuries various challenges, however they were able to overcome them through setting up legal entities aiming to represent them and protect their rights. Today we are proud to establish an institution protects players in the State of Qatar shield regardless of their nationalities or races or ethnicities. 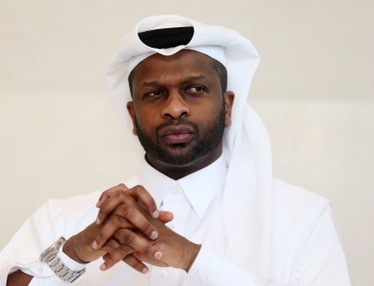 From the first day in which we applied for the establishment of the Qatar Players Association, we have vowed to defend the players and strive to improve the conditions under which they football. We have taken important steps to preserve the current rights and the acquire, including signing a binding memorandum of understanding with the Qatar Football Association and Qatar Stars League Management, and participated in the incorporation of the Foundation of Qatar Sports Arbitration. Our commitment to our players who are the members of our General Assembly, which is supreme authority in Qatar Players Association is unlimited and will continue to be devotion to improve their conditions and defend them, which will positively contribute in the evolution and enhancement of the football sector in our beloved country. We have begun our first step and put in place our strategy and we will continue to cooperate with our partners to develop the football sector in a way that protects our players in accordance with the principals of transparency. We started the first step and put our strategy and we will continue to work with our partners for the development of football in the state sector so as to ensure the rights of our members in a transparent and clear system.